Just completed a rather fun day with WSJTX on FT-8. Exited and requested a QSO list from CQRLOG. Received the error in the attached image. Had a little problem with the image upload. I created a new log and still received the same error. Worked fine 15 hours ago. I did do a patch update after I received the error just be sure but still get the error. WARNING: TMenuItem.Destroy with LCLRefCount>0. Hint: Maybe the component is processing an event? If I click Ok and continue, the QSO list doesn't have some of my recent QSO's :( I do have it set to backup on exit, so maybe they are in a backup. I do have this same error when requesting QSO list window. 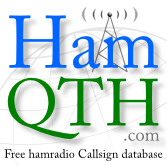 Do you have accepted to download new dxcc/qslmgr when you started cqrlog? It seems to be related to this latest update. I do not know yet how, but I did accept that and session before that worked ok. Yes, unfortunately, I did the update. I'll try restoring the ctyfiles and one of the recent backups later today. !!! DO NOT ACCEPT NEW QSLMGR UPDATE AT START !!!!! Problem seems to be in QSLMGR update file if it is accepted at program start. Managed to make my log work when I copied ~./config/cqrlog/ctyfiles folder from PC that I did not have accepted latest update. Open cqrlog and QSO list window. Say OK to errors so that you can continue. Close cqrlog and start again. DO NOT ACCEPT UPDATE DXCC/QSLMGR !!!! No errors should be seen. Worked for me, but while repeating these several times to pinpoint error I lost all preferences from my log. But if you do this once it works, so not try to make further investigations by accepting updates at program start until we know that update is fixed. extract it to your /tmp folder. REMEMBER! YOU TRY THIS QUICK FIX ON YOUR OWN RESPONSIBILITY ! I saw a lot of QSOS lost in the data base and also in the backup adif files. So I recovered with a backup from June 28 (i should do backups more often, I know..) and the last good adif backup file from the corrupted data base. I only had to enter the 3 last QSOS manually (they were on Clublog). Nevertheless I wanted to try your solution, but while moving the corrupted data base back I managed to erase it :-( So I can not check, would have been interesting to see whether the lost QSOs were back. Meanwhile I disabled the check for new DXCC files / managers until the issue is resolved. Since I build from source, I imported the ambiguous.tbl file using Import DXCC data from the QSO list window, restarted, said no to the update and opened the log file I had been using. Looks like my last QSO is in the list, so I guess it's back the way it was before the update. Although I don't recall how many QSO's were in the list to know if it might have deleted any. After reading all the posts and trying to figure out where things were going I did my own experiment. Rather straight forward. Moved the cqrlog config directory out of the way. Used Synaptic to remove CQRLOG and then install it again. Just to get a clean starting point after all that file moving and downloading. Recreated my logfile, DID NOT ACCEPT THE QSLMGR & DXCC UPDATE, recreated my preferences, imported my ADIF backup, and all is well. Now I just have to import the FT8 entries that I made while waiting to see what greater minds than mine came up with as a root cause. Many thanks to the CQRLOG guys for all the hard work. Sincerely appreciate everything. I posted my own issue that may be related to what you all are seeing. I had to reload my ham box and had hell getting CQRLOG installed, tried most of what is here, reload MySQL, reload the InnoDB stats tables, reloaded CQRLOG and 101 patch, blew away .config/cqrlog, reloaded from ADIF, etc. Everything has worked since then, I -think- I even loaded the DXCC update by accident after this, but I'm not sure as it it's asking me to update it on startup anymore. I saw that missing date too. I put a date in but it didn't solve the issue. So I just decided that up and running was better for me than trying to debug the problem. I'll let the CQRLOG guys do that. it will import fixed coutry tables and cqrlog will work again. I'm very sorry for the bug. Thanks for the post - that fixed it for me! Seems like we created a few message threads on what looks like the same issue. So far, it looks like restoring the ambiguous.tbl file from the 2.2.0/2.3.0? source tarball has fixed the problem for me. I've selected NO to both updates when CQRLOG starts and things seem to be back to normal. Yes, best to wait on the CQRLOG folks for a definite solution. Yes, many, many thanks for CQRLOG. There isn't a lot of logging software for Linux. All around, I think CQRLOG is right up there with the DXLab Suite on windows. Just wish we had a good contest logger. JL is/was great, but the author seems to no longer support it. I've hacked on it some, but it's written in JAVA and I have a bit of a learning curve in order to make any progress with that. Hope to work some of you in the IARU HF contest this weekend. Just wondering why country KH1 effects this? In my tests I found that if I accept QSLmgr update then the error started. And that update does not contain country file. At the moment my "fixed" log offers just qslmgr update, no dxcc. If I accept that mysql errors start again. More errors than KH1 in updates? QSL managers are in separate table, dxcc tables are the most importatnt because cqrlog does left join to that table. I just also fixed the DXCC tables, this update will fix the issue. Original dumps of the fault pointed to adif, so I also first thought it was in dxcc updates. After pinpointing several times the updates and side effects I made conclusion that it must be in qslmgr. But no wonder I was wrong. Joining tables may make thinks look different in this case. Doing this fault update few times and then resetting ctyfiles again resulted finally that I missed all preferences from my log !?!?! The main thing is that it is fixed ! I misstated what I did. I copied all of the files in the ctyfiles directory from the source tarball, then I imported the table file. My Country.tab file has what you suggested to change KH1 to. Things are running fine, but I haven't chosen to do any updates when CQRLOG has prompted me.